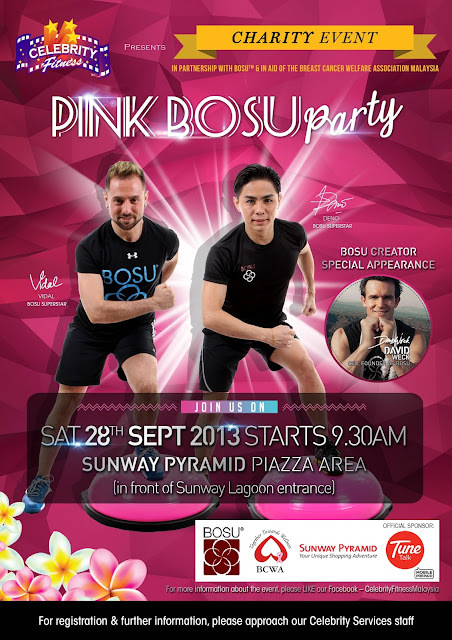 In conjunction with Pink October Month, Celebrity Fitness Malaysia is inviting all Malaysians to join their “Pink BOSU Party” event, to be held on 28 September 2013 at Sunway Pyramid, Piazza area. Hailing all the way from United States, the creator of BOSU, David Weck will make his special appearance where he will sign the exclusively commissioned Pink BOSU while, Celebrity Fitness instructors will lead participants through various fitness regimes such as BOSU Yoga, BOSU Pilates and BOSU Functional. Proceeds from the event will be given to the Breast Cancer Welfare Association (BCWA), an independent voluntary organization with the aim in providing emotional, social and material support for individuals with breast cancer while, advocating general health and breast health issues in early stages. “In Malaysia, breast cancer is the most common illness in women especially those aged 20 years and above. One in twenty women is at risk of getting breast cancer. 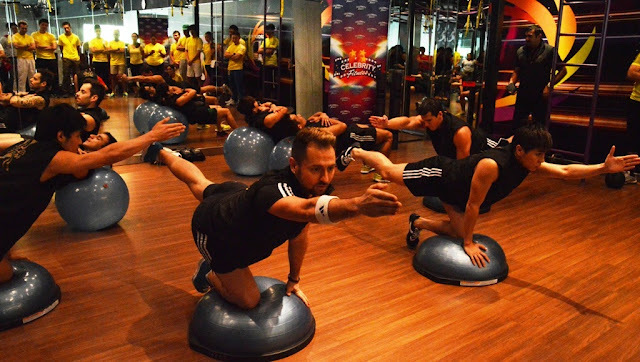 At Celebrity Fitness Malaysia, we always want everyone to be healthy and fit. We understand that cancer does not discriminate so as advocates of staying fit and healthy, we want to continue preaching about healthy living. 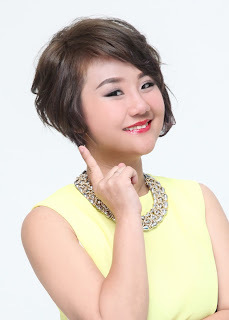 With that, we are pleased to organize the Pink BOSU Party,” said Evelyn Low, Country Marketing Manager of Celebrity Fitness Malaysia. On this PINK day, these new exciting BOSU workouts is going to improve your body stability and body alignment while training your neurological system to interact with the musculoskeletal system in our daily activities. Participants who register for Pink BOSU Party event will be the first lucky group to experience these new BOSU workouts, alongside celebrities such as Faradina, Sazzy Falak, Muhamad Fiqrie, Azura Zainal, Goh Wee Ping and many more who will be present for the event. “Working to the adage of “prevention is better than cure”, we are happy to have Celebrity Fitness sharing the same goal and passion in raising the awareness of breast cancer while, educating the public in gaining a golden health,” said Mr. Lim Ching Wei, Honorary Secretary of BCWA. do visit my blog back ya! Love a Pearl - Customised Your Pearl Accessories!